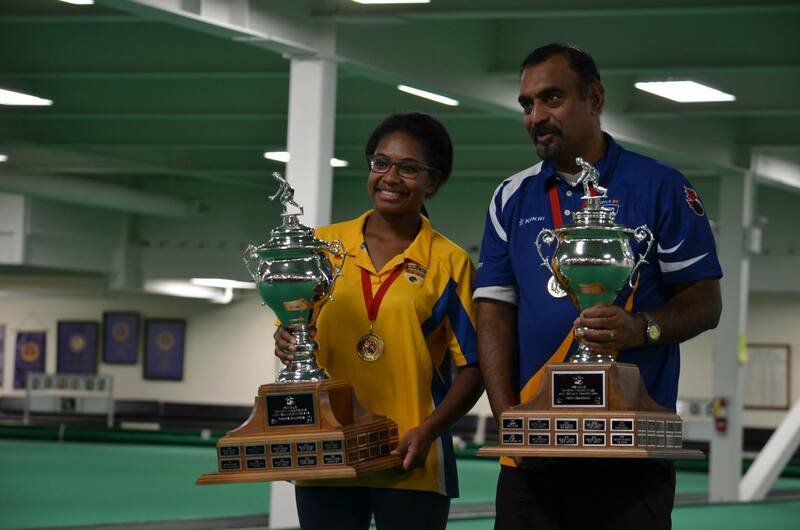 Hirendra Bhartu from Nanaimo, BC will be heading overseas once again to represent Canada at the World Cup at the Warilla Bowls Club in NSW, Australia. The event will run from March 6th – 14th, 2018. This will be the 5th time that he will go and compete for the World Indoor Title. Hiren will be keeping us up to date on his adventures overseas, how the tournament has been going along with off the green activities. Pricilla Westlake will also be making another trip over with him as she is poised to hit the carpet in Warilla Bowls Club once again. This will be here 3rd time at this event and will be over defending her title at the World Youth Championship February 24th – March 2nd, alongside Victoria, BC native, Carah Webster. March 1st: The trip over was another long one but I was able to spend a bit of time in Sydney visiting an old friend. Will make my way down to Warilla to get a few days of good practice in! Main thing is I am over safe and sound. March 5th: I was able to get on the greens today for a couple sessions to get the feel of the carpet. Still a great facility with awesome people around the Club. Everyone is nice and its the 5th time I have been here so I have been able to make quite a few friends. Now its time to get down to business and get the feel back and roll them out. The green speeds are good as this is a World Class facility and very close to what we play on at the PIBC, only difference is the space as the ceilings are very high and the building is massive. March 8th: 3rd day of competition today at Warilla. Dug a hole for myself with 3 losses and 1 win. New territory for me as I have always been above .500 previously. Will look to turn it around today and I know I can. Pricilla was on this morning and I watched the first set vs Norfolk which she won 10-5. Have to leave to prepare for my game vs Turkey. Too bad I don’t have my trusted red drakes professionals as they are outdated at 2017 and could not get them tested and stamped in time. Using a tighter line bowl that I am still getting used to. March 9th: It was a tough game today. Officially ousted from play-offs. Played well against Ali Forsythe who has 100% on drives that he needed to make..Will keep trying hard and finish above .500. Japan, Macau, Isle of Man and Australia to go… Will continue to work hard out there on the greens as I wear the Maple Leaf and will continue to do my best! Thanks for all the support that I have been receiving from everyone through the tournament.